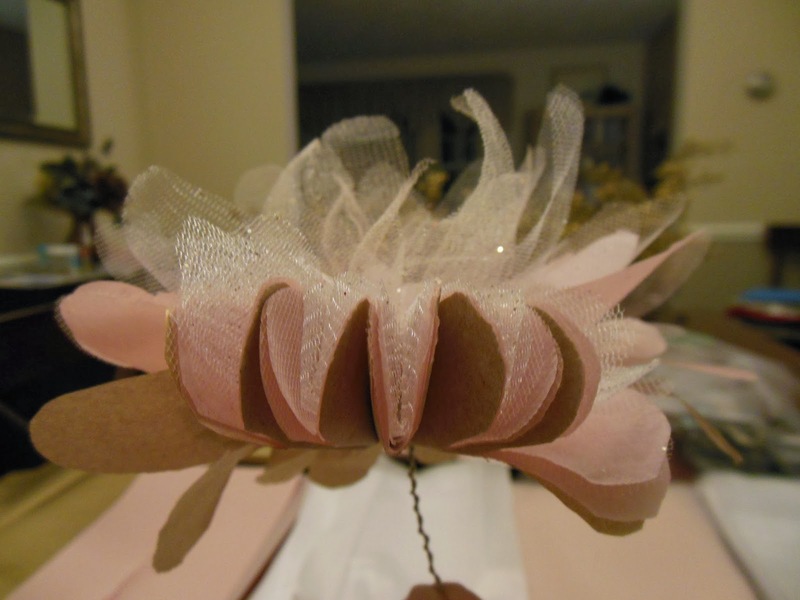 While I’m in wedding crafts mode this weekend, I thought I’d post a few “how-to” pictures for tissue paper and tulle flowers. 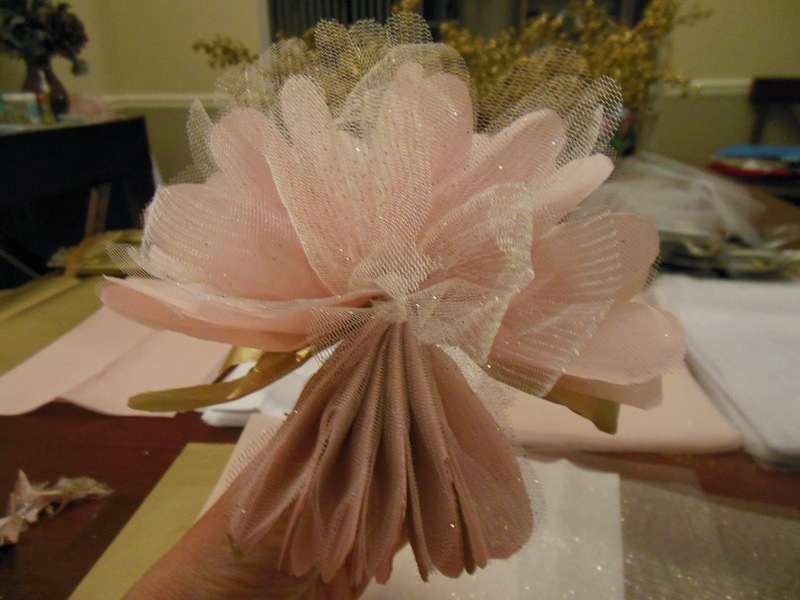 I layered my flowers for an ombre effect – gold tissue, pink tissue, pink tulle, pink tissue, white tissue, pink tulle, sparkly silver tulle, and finally sparkly gold tulle. 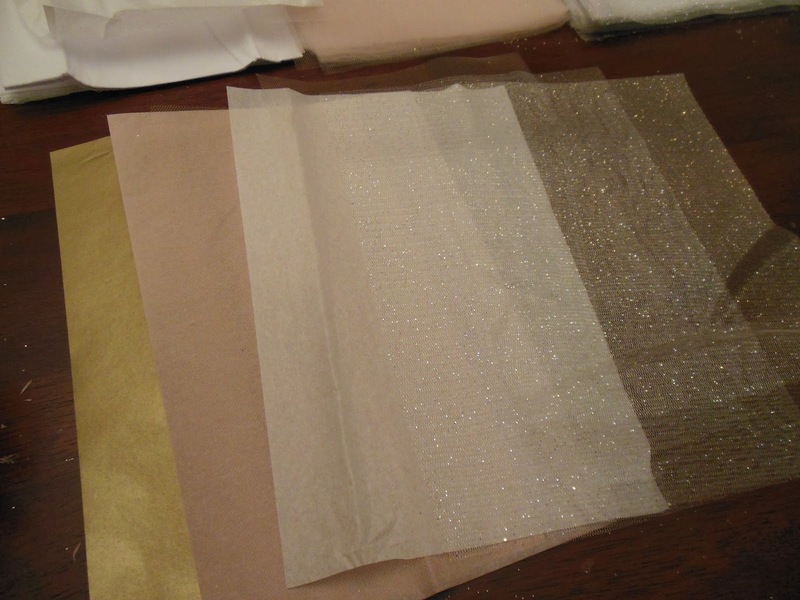 But any way you layer them works just fine! 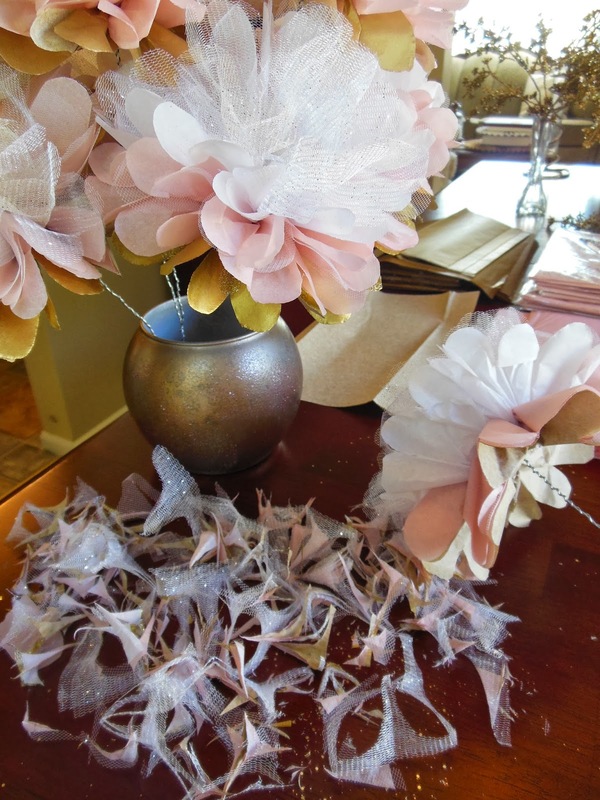 I cut my materials to a 6 1/2″ x 10″ size and needed just 5 – 6 flowers for each vase. 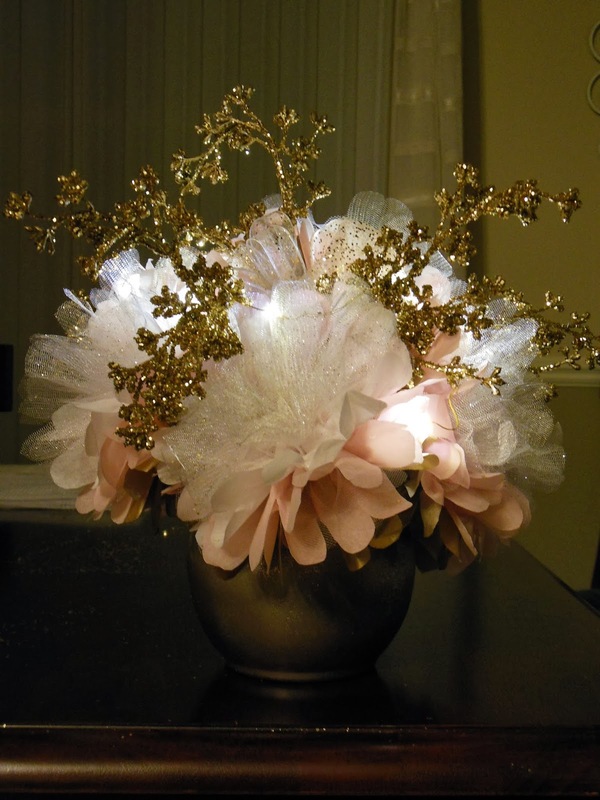 Scraps of tulle, ribbon, glittered accents and a string of LED lights completes the centerpiece. 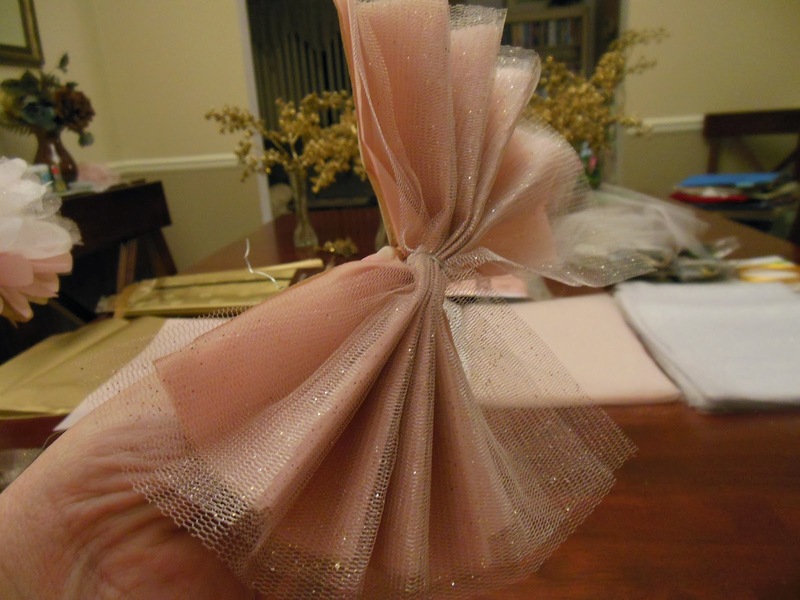 Layer and stack the tissue/tulle in whatever order you like. Fan fold from one end to the other. Gather together and secure with wire. 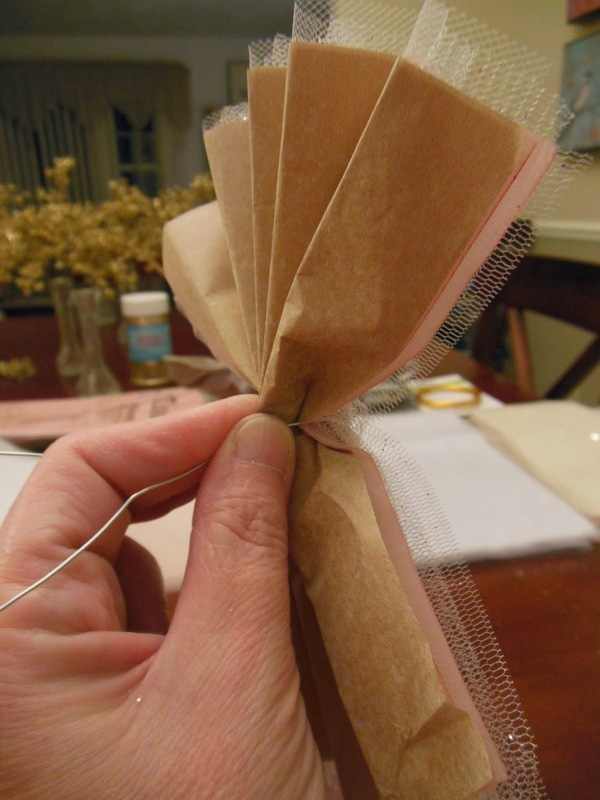 One side at a time, bring the folds together and trim the ends. 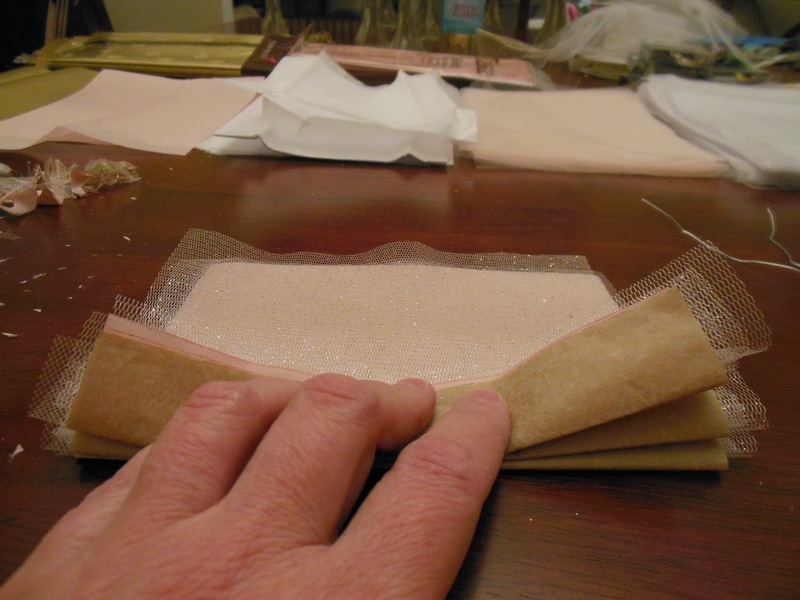 Spread each side out and gently separate the layers. 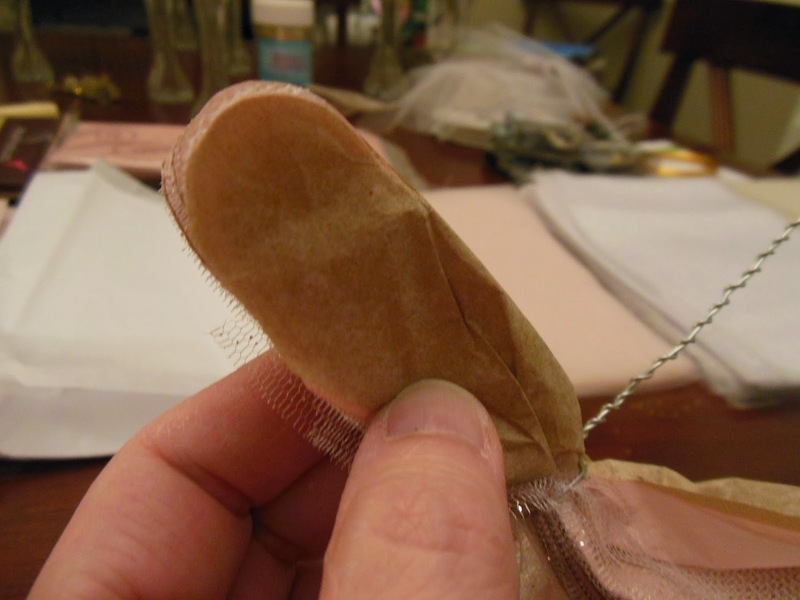 I “fluff” from the top first, pulling the tulle up and toward the center.